This interview is part of the Hong Kong Art History Research - Pilot Project, a collaboration between Asia Art Archive and Hong Kong Museum of Art. It was conducted at Asia Art Archive on 8 August 2013. A founding member of the Taiwanese painters’ group ‘Fifth Moon Group,’ founded in 1957, Liu relocated to Hong Kong in 1971 to join the faculty of the Department of Fine Arts, New Asia College, Chinese University of Hong Kong. Liu chaired the department between 1972 and 1976. After his relocation to Hong Kong from Taiwan, Liu was categorised as a Hong Kong artist in many of the local survey shows, in publications, and in international exhibitions, but also included in many other exhibitions as a Taiwanese artist. This interview provides Liu’s perspective on the fine art academy, its programming, and its role in Hong Kong, and also probes the inclusivity and ecology of the Hong Kong art world at the time — in particular its receptiveness to an artist whose career started in Taiwan. Liu lives and work in Taoyuan. 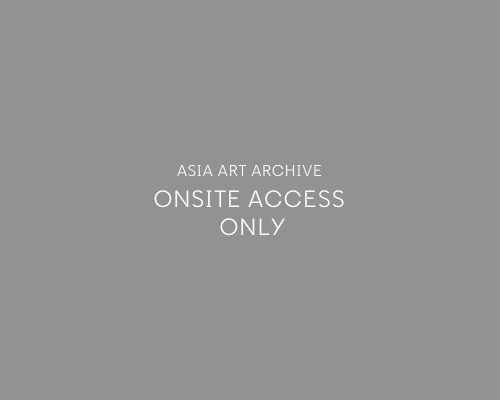 Lesley Ma is a visiting researcher at Asia Art Archive from February to September 2013. A PhD candidate in Art History, Theory and Criticism at University of California San Diego, Ma’s research focuses on postwar abstract paintings in Taiwan.